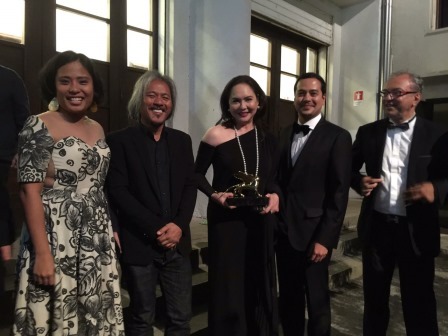 Internationally acclaimed Filipino independent filmmaker Lav Diaz’ film “Ang Babaeng Humayo” (“The Woman Who Left”) won the prestigious Golden Lion for Best Film, the highest honor given at the 73rd Venice Film Festival last Saturday (Sep 10). “This is for my country, for the Filipino people, for our struggle and the struggle of humanity,” said Diaz in his acceptance speech. Produced by ABS-CBN’s Cinema One Originals and Diaz’ Sine Olivia, “Ang Babaeng Humayo” tells the story of Horacia (Charo Santos), a woman seeking revenge after being convicted for decades for a crime she didn’t commit. 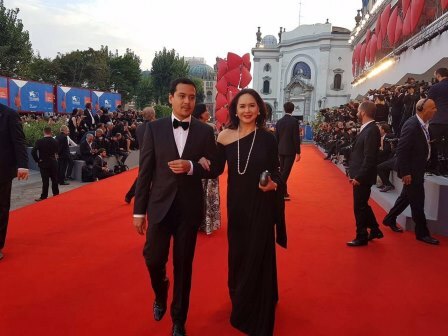 This is the first time the Philippines won in the Venice Film Festival, which is considered one of most prestigious in the world like the Cannes Film Festival and Berlin Film Festival. “Ang Babaeng Humayo” also marks the movie comeback of former ABS-CBN president and now chief content officer Charo Santos, who also earned positive reviews from critics for her role in the nearly four-hour long film. The movie also stars award-winning actor John Lloyd Cruz in another must-see and daring performance. 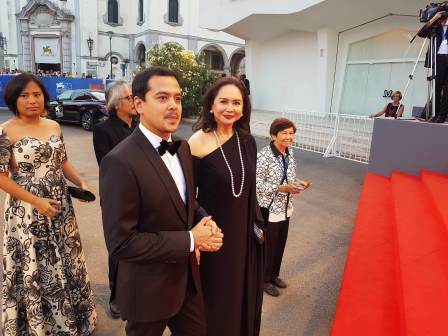 Lav, Charo, John Lloyd, and Cinema One head Ronald Arguelles represented the country at the Venice Film Festival and attended various functions such as press conference, red carpet premiere, and the awards gala.